dal Teatro Verdi e dal complesso monumentale di Santa Sofia. Soggiorna presso i nostri appartamenti e lasciati guidare, dalla guida GAE Adriano De Falco attraverso i più affascinanti itinerari della Costiera Amalfitana (Sentiero degli Dei, Valle delle Ferriere…) e Parco Nazionale del Cilento e Vallo di Diano. 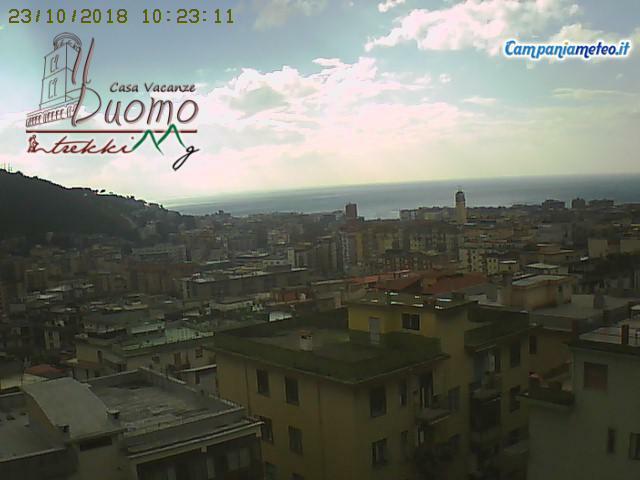 Casa Vacanze il Duomo a Salerno; una esperienza indimenticabile! È una casa dove si vuole ritornare di più e più! Anche dopo 3 anni consecutivo è sempre un soggiorno preferenza! Con una camera di letto spaziosa e commodo, una cucina abitabile grande, si entra la terraza. Ha tutto la comodità di un'appartamento moderno. Con tutto la costa Amalfitana a portata di mano, situato nel centro storico di Salerno, con le strade piccole e accogliente, è un posto di ritornare di più! This is my third time renting Casa Vacanze Il Duomo. The reason I always book this apartment is because it is located in the ancient city of Salerno, which is a thrilling place to stay. Also, the apartment is large with big rooms, a balcony, nice sized bedroom, well appointed kitchen, clothes washer and most of all a big bathroom with a large shower. The owner, Adriano DeFalco is an AWESOME host. He picked me up from the train station when I arrived and was always available if I needed information about the area. 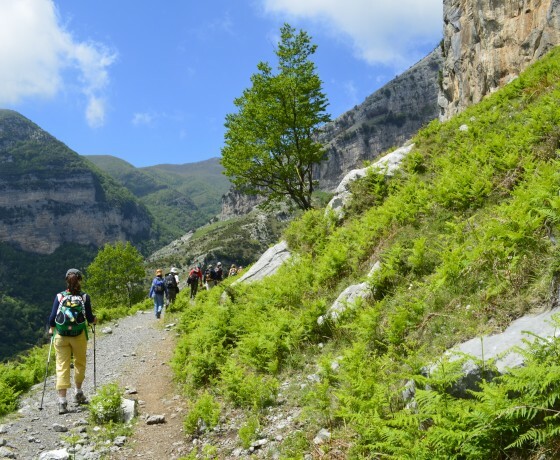 He is also a hiking guide and took me to Amalfi for the most beautiful trek I've ever experienced. There are many other apartments available in Salerno but I find that the host, location and spaciousness of Casa Vacanze Il Duomo is a winner every time. We found this an excellent location in which to stay, shops, transport and market close at hand. Salerno a good base for all sorts of visits but difficult to get information about buses, exhibitions and events as tourist info almost impossible to find. The upside of this is it is not crowded with tourists. Apartment generally quiet and private and plenty of space but a bit dark. Unfortunately the last tenants dis not appear to have cleaned the kitchen equipment very well. Adriano very welcoming and gave many suggestions about what to do. If you are planning a trip to the Amalfi Coast, or will be in Italy and want to pop down there for a couple of days, contact Adriano for apartment rentals and bed and breakfasts. Adriano runs the Bed and Breakfast Association in Salerno, so if his apartments are full he has incredible contacts for all the others, plus he can advise you on which parts of town to stay in. Arechi Castle is in Salerno, at the south end of the Amalfi Coast. You can fly into any major Italian airport and get a fast train directly to Salerno. 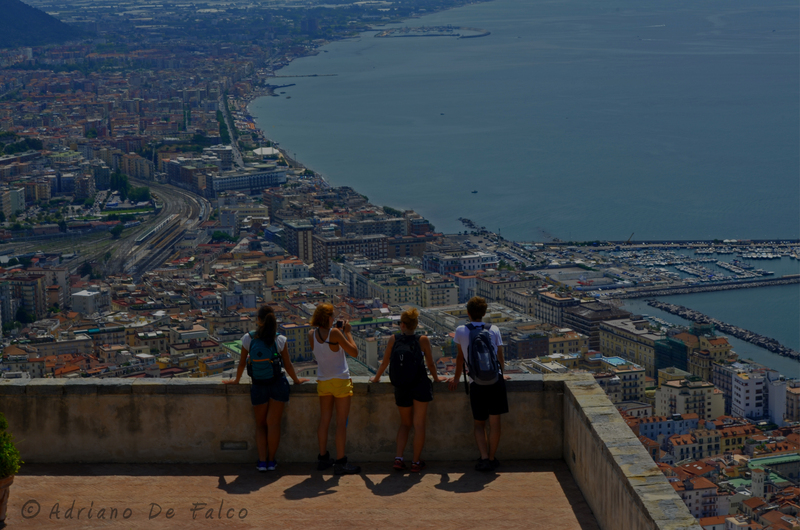 Salerno is 40 minutes from Naples by train. 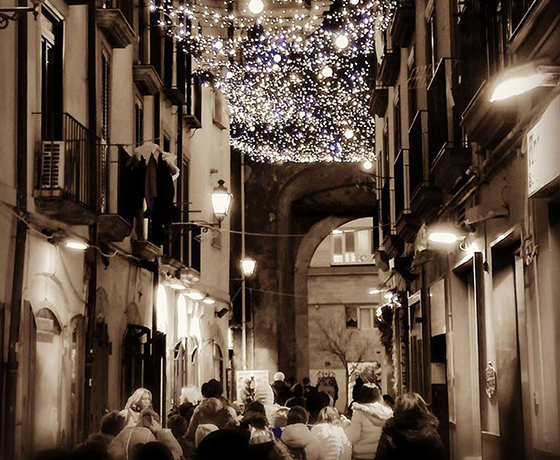 I can't wait to get back to Salerno. 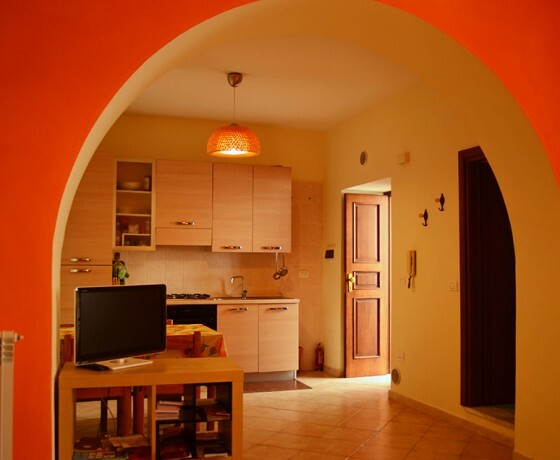 Book an apartment in a centuries old, renovated palazzo in the historical center of Salerno. I stay HERE a half block behind the beautiful Duomo San Matteo. The apartment is perfect, the landlord is cool, and has become a good friend. My friend (and landlord!) 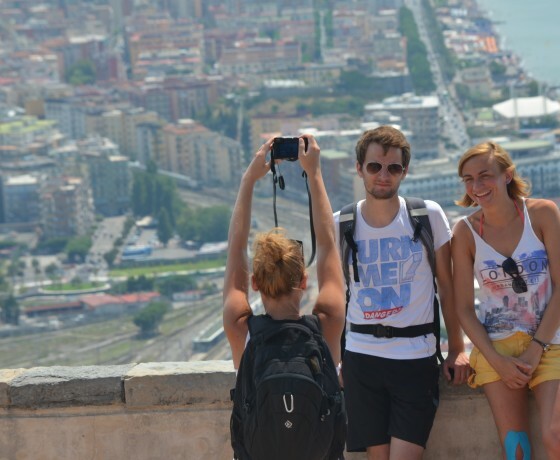 Adriano de Falco can take you on amazing hikes, day trips and excursions in the Salerno and greater Amalfi Coast area. Adriano is super knowledgeable and great fun, so you are guaranteed a wonderful day out, wherever it is that you choose to go. Prima di scegliere la nostra Casa Vacanze, perchè scegliere la nostra città?